Near the end of October I started jogging again. Every few years or so I get the bug to seriously take up running again. Serious means being able to run a 5k. 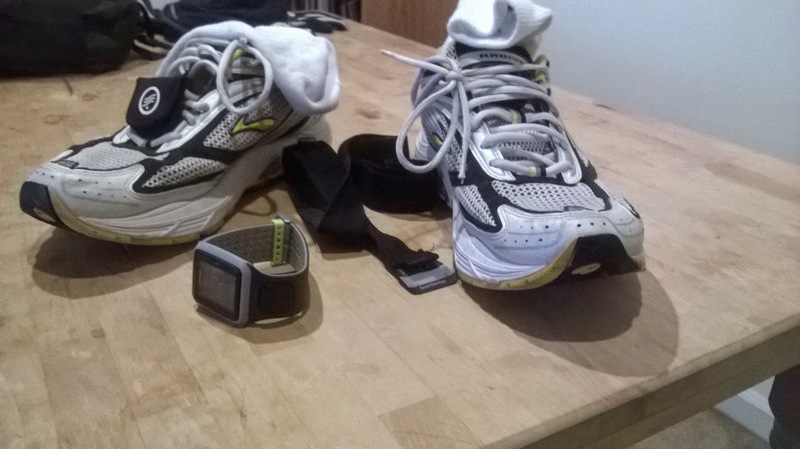 I could go all sorts of directions when blogging about running. I could talk about he life lesson learned from the rapid improvement or how it improves my mood. What I am going to talk about is the weather. Stupidly, I’ve taken up running outdoors as we transition into winter. Even with my cold weather gear we’ve already had a week were it was too windy and cold to run outside. I might have to jog some on a treadmill… ew. Most places joke about their weather: “if you don’t like the weather just wait an hour”. No place is that more true than in the midwest. Wednesday before Thanksgiving, I went for a jog. The temperature almost hit 30F and brisk wind blew from the south producing a wind chill of 19F. I wore four layers on top and two below the waist. My fingers and toes got cold and the cold air burned my lungs.. It was not a pleasant experience. I would much rather run when it is 90 than when it is 20. I think sweating is better than freezing. On Sunday I went for another jog. Again a gale wind blew from the south. The slight difference was the 60 F temperature. I only wore a windbreaker and sweatpants over my usual summer running gear. By the end of my run sweat soaked my clothes. After work, four days later, I went for another jog. This time it was 40 degrees with a breeze and a slight rain falling. I had a good run. The best since I restarted running. So that is Illinois weather for you. In less than two weeks we had: 19 degree windchills, 64 degree weather with gusting winds, 40 degrees and raining, and also there was a bonus ice storm mixed in.